Kilroy Realty Corporation has partnered with U.S. 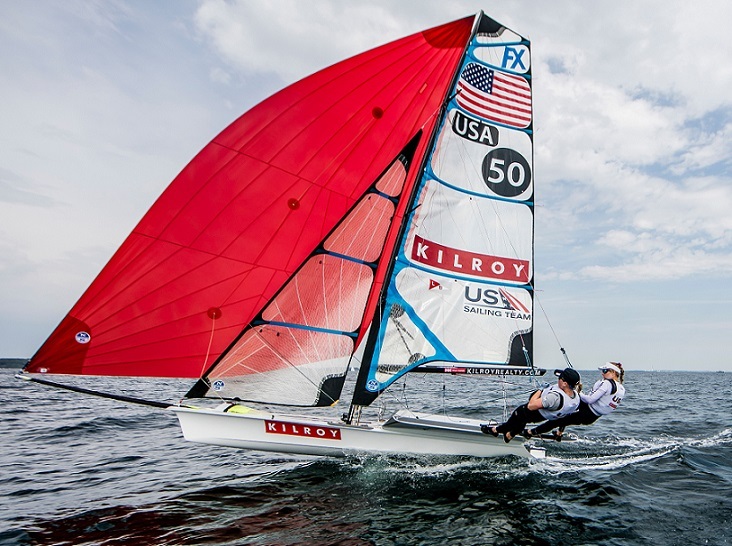 Sailing to serve as a primary sponsor of the U.S. Sailing Team. The commercial real estate company will support the team at major international events, including selection events, world championships and the World Cup Series in the lead-up to the 2020 Summer Olympic Games in Tokyo. Kilroy Realty has a history of supporting the U.S. Sailing Team and growing the sport of sailing in the United States. The company currently sponsors national team members Stephanie Roble and Maggie Shea. The new partnership will support the athletes by funding the advancement of technology, fitness training, coaching, research and development, and vital campaign costs including specialized support personnel and equipment upgrades. The U.S. Sailing Team features the top-performing athletes in 10 Olympic classes. Additional sponsors of the team including Helly Hansen, Harken, McLube, Groupe Beneteau and Marlow Ropes.